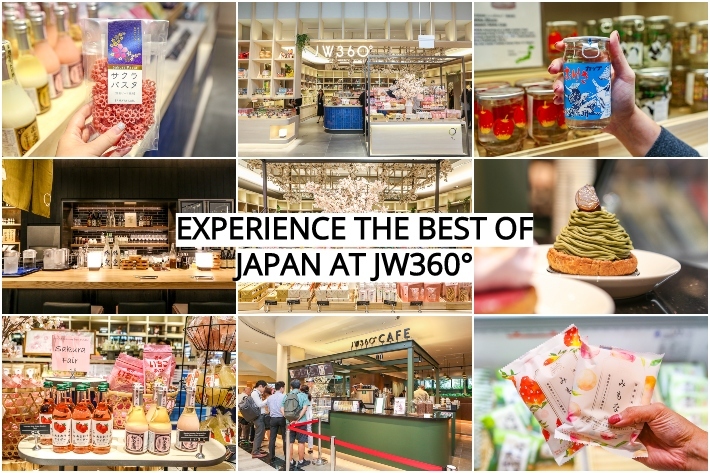 JW360°’s restaurant segment is operated by Suju Masayuki, a notable Japanese restaurant that has over 200 years of rich history, seven stores in Japan and one store in Orchard, Singapore. The restaurant creates dishes based on the produce that is available in Japan according to the four seasons, so do expect a constantly changing menu! Suju Restaurant is helmed by Head Chef Atsushi Yamakawa who was previously the Head Chef of Suju Restaurant in 2016. As Chef Yamakawa has had work experience in countries such as Australia, America and New Zealand, many of his dishes are infused with a unique western touch. Based on his extensive knowledge of both Japanese and Western cuisines, the restaurant’s highlights include Yoshoku, which is essentially a western-influenced Japanese cuisine. Some Yoshoku dishes to look forward to in the current season are the Hamburg Steak — an outrageously tender and thick beef patty which is glazed in a viscous miso demi-glace sauce. The robust sauce was a perfect complement to the patty and enhanced the umami of the whole dish. 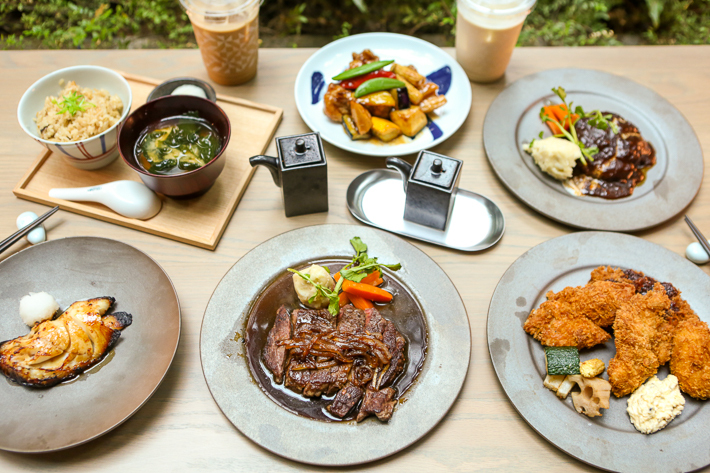 The Mixed Katsu set comes with an assortment of pork, chicken, beef and shrimp croquette. Each crisp piece of katsu is fried to a gorgeous golden brown and every bite lets out a satisfying crunch. Fish aficionados would appreciate the Gindara Misozuke Yaki, which is essentially a grilled miso-marinated codfish. Do not let its simple plating fool you; the codfish needs no other accompaniment and is absolutely ambrosial by itself. The fish is so insanely tender that it literally melts in your mouth! For those of you who are looking for something a little lighter, pop over to JW360° Cafe to indulge yourselves in their decadent array of desserts and tea time treats. Their gelato comes in an array of different flavours. We were told that it is a must to try their strawberry ice cream as it is made from Amao strawberries—deemed to be one of the highest grades of Japanese strawberries. These strawberries are so premium that they give the ice cream a naturally creamy texture and flavour without the addition of milk or cream. As it is currently cherry blossom season in Japan, they have an entire selection of seasonal desserts dedicated to the well-loved flower. Prepare to spoil yourselves silly with some pretty pink desserts that don’t just look good for the ‘gram, but taste amazing too. We love their Sakura Cranberry Cakes! We also recommend that you have a go at their matcha desserts which are made from high-quality matcha. Each and every one of these desserts has a rich, earthy flavour that has the perfect balance of bitterness and sweetness. If you love Japanese snacks and trinkets but you have no money to fly all the way to Japan to get some, Nomono will be your saving grace. The retail corner is renowned for procuring snacks and souvenirs from all over Japan and they have three outlets within Tokyo, with Singapore being their first venture outside of Japan. The colourful store is packed with an assortment of scrumptious, creatively packaged Japanese snacks and sweets. These amazing treats are bursting with flavours of Japanese origins reputably known as ‘Oyatsu Times’ which translates to ‘Japanese Snack Time’. All the snacks and sweets available here hail from various prefectures across Japan and each of these is a representation of what their prefectures specialise in. We were recommended to get their zesty Apple Chips which consist of raw apples that have been air-fried to preserve its crispiness and natural apple flavour. For the alcoholics out there, you’d be glad to know that there are also a variety of different sakes available. We love the ones that come in little glass jars that have detailed paintings on them; it makes for a perfect keepsake or a gift! In celebration of the current sakura season in Japan, Nomono has also stocked up on a range of sakura-themed food items that are hard to resist. From pink-hued pasta shaped like sakura flowers to even sakura salt, you’ll definitely be left spoilt for choice! Other highly recommended snacks include Hagi no Tsuki Custard Cake, a soft and fluffy sponge cake that is filled with custard cream. The dessert originates from Sendai, one of the largest Tohoku regions in Japan. This dessert is so popular that it would be considered a crime to go on a trip to Japan and not come back with a box of these. This post was brought to you by JW360°.